South Africa are the top seeded team for the Rugby World Cup Sevens, which will be played at AT&T Park from 20-22 July, and will travel west as current World Rugby Sevens Series champions. Kyle Brown, Cecil Afrika, Chris Dry, Seabelo Senatla (who all played in Moscow in 2013), Tim Agaba and Stedman Gans were all ruled out due to injury, while Kwagga Smith and Sikhumbuzo Notshe were not considered because of their involvement in Super Rugby. “I am pleased with the squad," Powell said from Mossel Bay, where the team are finalising their preparations before departure to the USA. 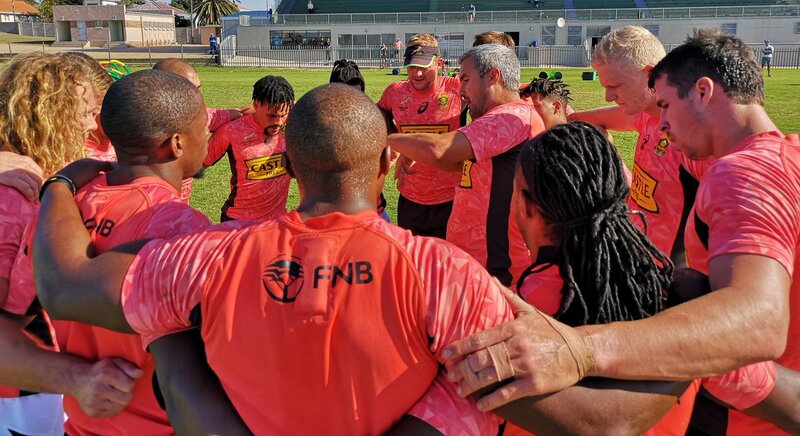 Snyman said the Blitzboks are determined to make the country proud: “We have received wonderful support from our supporters here in the Southern Cape and Gauteng last week and that made us even more determined not to let them down. “We do not have the greatest of records in this tournament, but that said, we know we will be a very competitive team if we play to our strengths and within our game plan. It is exciting times for all of us and we are ready to do our best for our country."